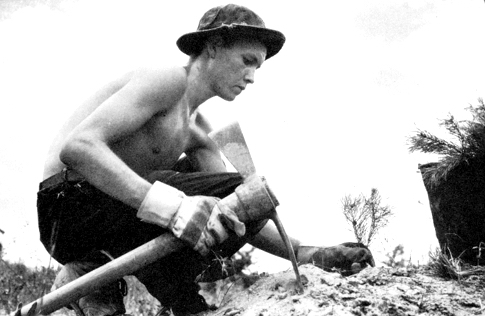 The mission of Civilian Conservation Corps Initiative,INC, is a 501(c)4 non-partisan, non-profit that advocates for the re-establishment of the United States Civilian Conservation Corps(CCC)to enable our unemployed and underemployed citizens to be engaged in a practical peaceful community and national service. The purpose of this program is for the general benefit our community and nation. The CCC would aid in transforming our country toward becoming a resilient, sustainable and ecologically balanced culture. Programs like these would help this society to survive, thrive and prosper as much as we did in the 20th Century. Those who enroll in the CCC would receive job training in meaningful vocational training and on-the-job skills and all would be first responders in disaster relief. Based on the vision of Franklin D. Roosevelt first work program initiative in 1933 through 1942 and our organization advocates for a reestablished CCC program in the United States. After its reestablishment, we seek his vision to be adopted by the World through his last initiative created in 1945, the UN - United Nations and then together we can create world peace through mutual effort of our young future leaders and stewards of the Earth and Waters while saving our planet!